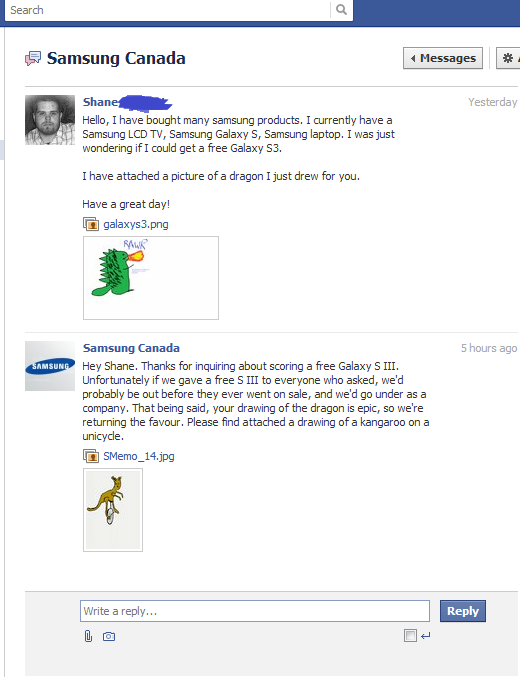 Back in May of this year, a die-hard Samsung fan named Shane took to Facebook to try and score a free Galaxy S III with a custom piece of art (read: a drawing of a dragon). 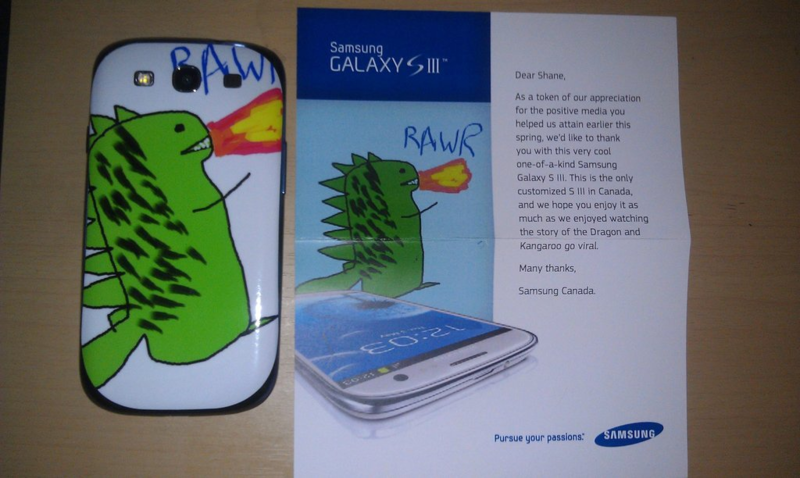 While Samsung was pleased with the gesture, they politely declined his request for a free phone, instead offering a drawn picture of a kangaroo riding a unicycle. No, I'm not making this up. 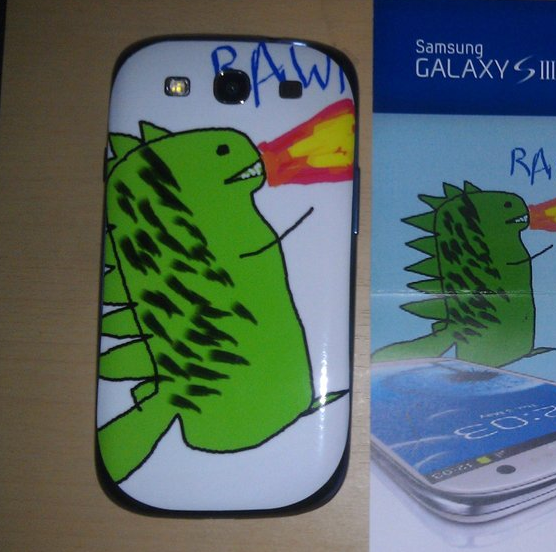 Given its awesomeness, the above image quickly went viral. As a result, Sammy and friends got a lot of attention that day. Fast forward to today, and Samsung has now given Shane a one-of-a-kind Galaxy S III donning a custom back. Can you guess what it's customized with? Given the amount of negative press that Samsung has gotten over the past several days, it's nice to see something this awesome come out of their camp. That's what I call real customer appreciation. 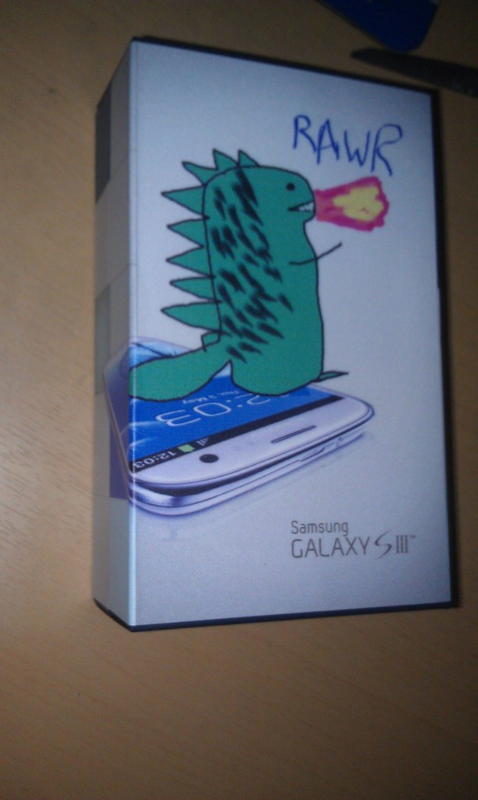 Good job, Samsung. You didn't only make Shane's day, but ours as well.